Revision tips from the Head at NGHS as exam season awaits. My tips as we approach exam season. 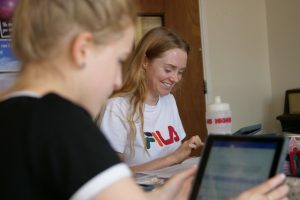 Who would believe that it’s the end of the spring term already; it always feels as though it’s downhill all the way from here until our Year 11 and 13 girls leave us to study for their exams, and summer seems just around the corner. It’s that word “exams” I’d like to focus on in my end of term blog, because no matter what current opinions exist, they do matter and girls will and do worry about them in varying degrees. 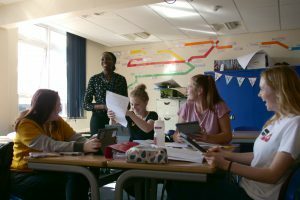 Things have changed here at NGHS over the past few years, curriculum reform has made its mark on how we do things, and we always provide a bespoke education for our girls allowing them to choose what they’re best at. Doing what you love and playing to your strengths is the most powerful guarantee that you will be successful and happy. Our results always make us proud and academic excellence does not need to at the expense of health and wellbeing. Expectations are high and the environment here at school will always be calm, confident and positive. Many of you will be aware of our work with the Positive Group and their Positive Schools project, and may even have attended our recent event reflecting our progress one year on. I believe that providing a happy environment really helps ensure great success for our girls. At this busy time of year, and I’d like to offer some tips and words of wisdom of my own for the girls about preparing for what lies ahead. Plan your revision – be clear about when you are going to revise, what you are going to revise and for how long. Make revision active – do not just read and re-read your notes, do something with them. In particular, lots of practice questions are helpful. Technique is as important if not more so than knowledge! Have down time – with over two weeks off, doing four or five ‘good’ hours of revision a day is plenty. You can and should have days off! Keep up your sport, music and hobbies. Read the papers or read for pleasure. Go for walks, have fun, go out, see friends, make time for your family. All of these things are vital for your health and wellbeing. Work really hard but work smartly – it is just a couple of months of your life after all. The end of exam season will be here before it’s begun. Most of all – TRUST YOUR TEACHERS! They have a proven track record of great results, they know how to prepare girls for their exams. Do everything they ask you to do and you will be just fine! Don’t reinvent the wheel and go off-piste finding other notes on the internet, use your exercise books, use your own notes, read relevant materials – you have been taught what you need! To conclude I would say – BELIEVE. HAVE CONFIDENCE. Your exam won’t be perfect but it doesn’t have to be! Do your best and above all, stay well and stay happy.